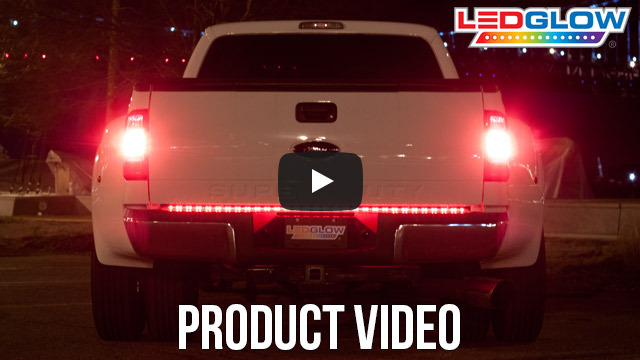 LEDGlow's 49" TailFlex® LED Light Bar is a flexible tailgate light signal bar that alerts other drivers with running, brake, hazard and turn signal functions as well as the option of white reverse lights. LEDGlow’s 49" TailFlex LED Light Bar allows you to bend and curve your light bar to achieve that perfect fit on your compact or mid-sized truck’s tailgate for added signal visibility when driving. This flexible 49” tailgate LED light bar is available in two options that feature 48 ultra-bright red LEDs that will effectively alert other motorists on the road with running, brake, flashing hazards and turn signal light functions, as well as 24 white LEDs for reverse signals that is only featured with the red and white flex tailgate light bar option. A flat 4 pin trailer connection harness is included with each flexible tailgate light bar for plug and play connectivity and offers 38" of wire length for maximum mounting capabilities. 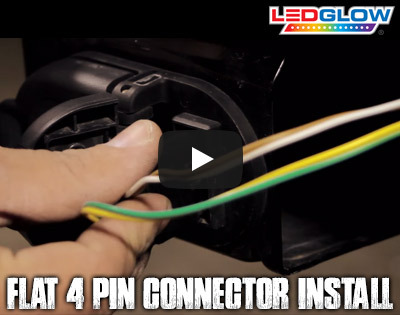 If your truck doesn’t have a trailer towing connection or you’re looking for a secure, hardwired connection, you can easily splice the light bar’s wires into your truck’s tail lights. 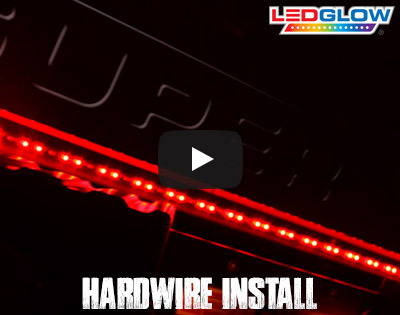 Mounting this tailgate LED light bar is extremely easy with the double sided 3M™ Tape as well as using the included mounting brackets and self-tapping screws for added reinforcement. LEDGlow includes a one year warranty and free lifetime technical support with each flexible tailgate light bar purchase. Ordered this light bar after extensive research. Installed on the upper flange of a black diamond plate bumper. Utilized an inline pig tail on the rear of the 7 prong factory trailer plug. This enabled continued use of the factory four pin and made for a cleaner look. Due to the diamond plate a 48"x1"x1/8" piece of aluminum flat bar was screwed to the bumper lip then an additional 1"wide strip of 3M automotive double sided was affixed to the aluminum followed by the light bar (so it's now 3M tape on the light bar stuck to the 3M tape which was placed on the aluminum strip). The bar works as advertised. Hardly noticeable until it lights up!! This is a new install therefore can not comment on longevity. Bright, works as advertised, easy install. Just installed today, so can't speak to longevity. But it works exactly as described, quality build, and easy install. Other drivers will without a doubt notice this thing. Cars don't seem to follow as closely so far. Happy with my purchase so far.